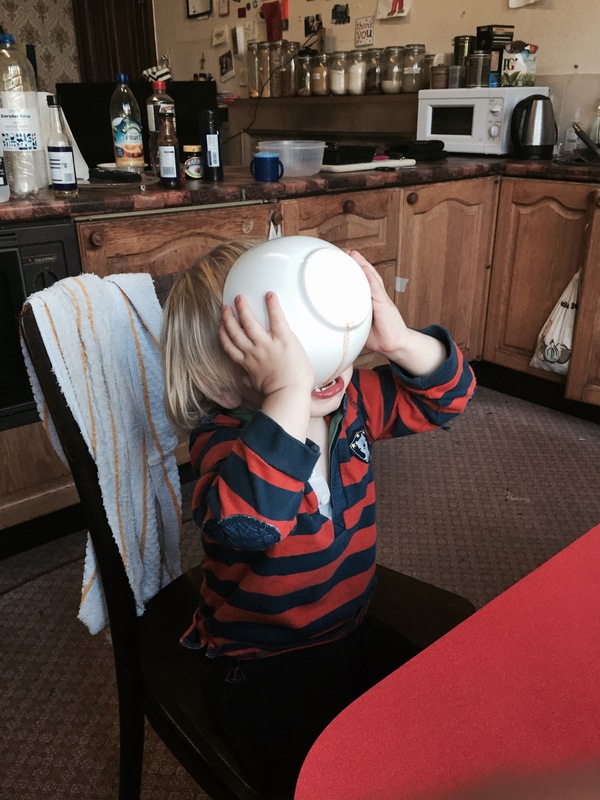 Sorry for the radio silence…. 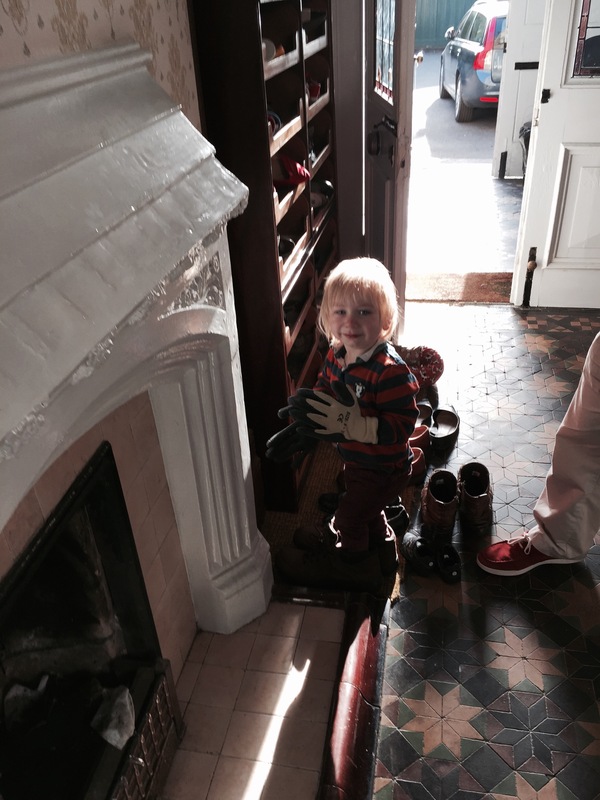 I’ve had a break from blogging as I’ve been very busy looking after my grandparents. They came to stay for a week whilst the big M and D went away. It was a very important job settling them in and supervising all their activity. Doesn’t he look like the Big D?! Sitting on his shoulders was home from home! Another momentus occasion – my first trip to the dentist. I was very good. I sat in the chair and said ahhhh but that was the extent of it. I wasn’t letting him put his hands in my mouth though. I’m not stupid!!! 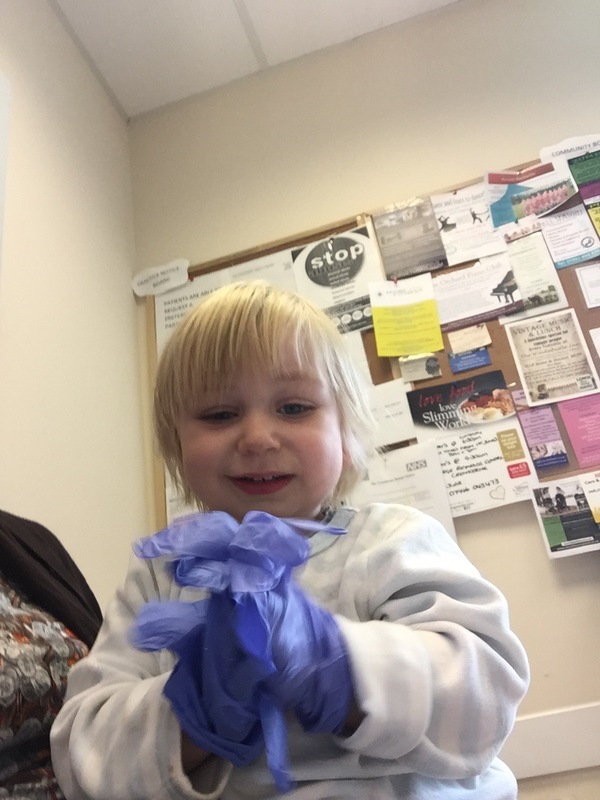 I was such a good boy I was given a sticker and my own pair of dentist gloves. I’m Hoping for a gown next time! 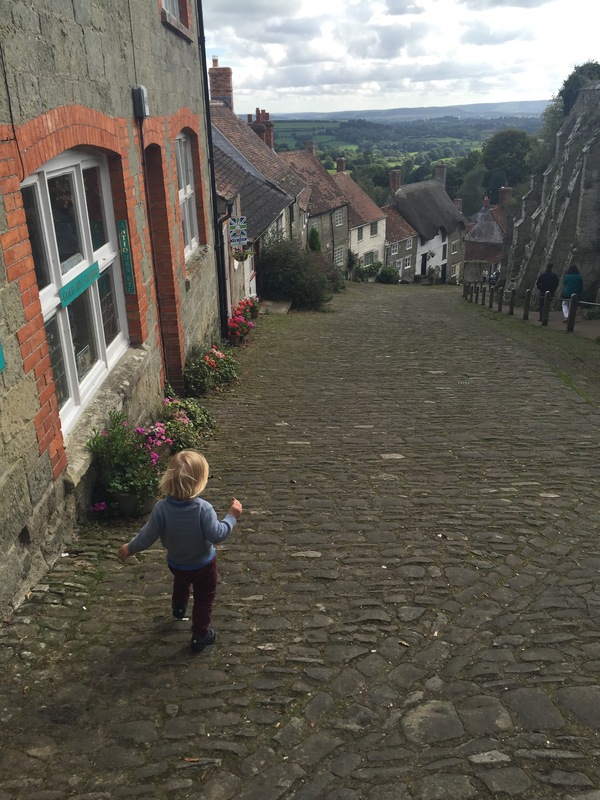 Now unbeknownst to many Shaftesbury in Dorset is the home of Gold Hill of Hovis ad fame (it’s not in Yorkshire as many presume). We walked up and down the cobbled hill taking in the view and the chocolate box cottages. All very idyllic. The big M used to live at the top many moons ago. I’m not sure what was in it but the big M and D refered to it as D.U.C.K. salad Whatever this D.U.C.K is, it’s scrumptious! 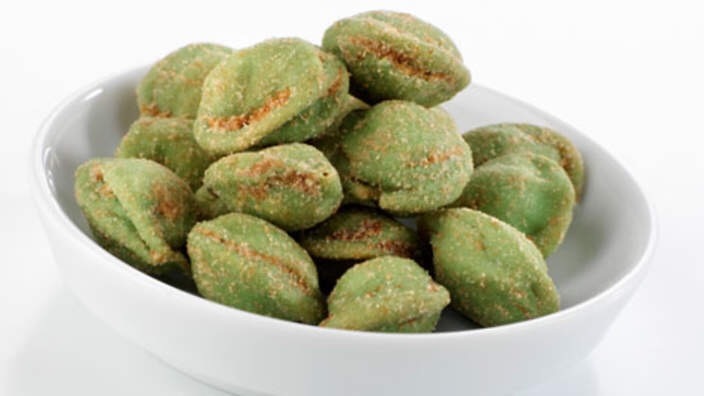 I’ve discovered I share the big M’s love of wasabi peanuts. However, I have a unique way of eating them. 8. Repeat with fresh nut. I’ve become a member of the jungle VIP over the past few days as I’ve spent a large proportion of my time on swings. On Thursday I swung on the cool dragon tyre swings at Montecute, followed by a quick turn on the swinging bench. 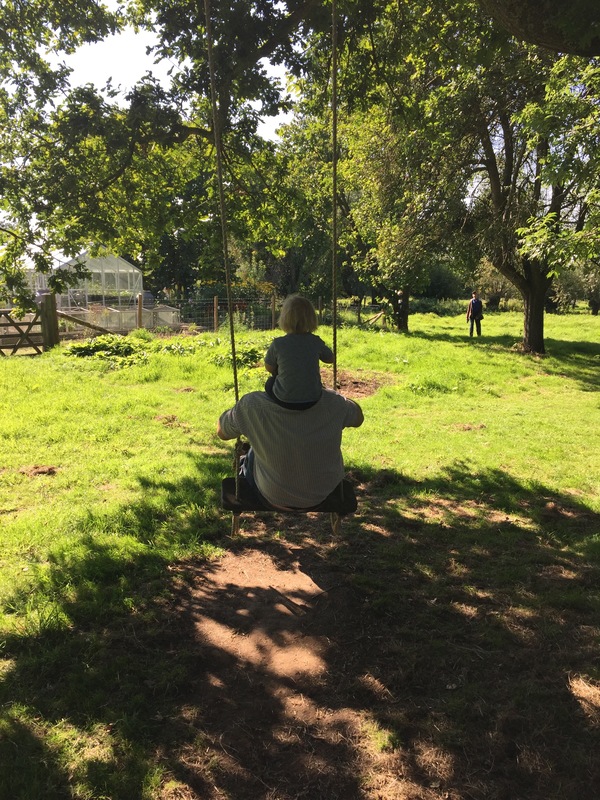 On Sunday I had a swing tastic day starting at the playground after church, followed by a swinging bench at Tintinhull garden and the all time king of swings – sitting on the big D’s shoulders while he swung! We went to Wellington this afternoon (the one in Somerset, not NZ). 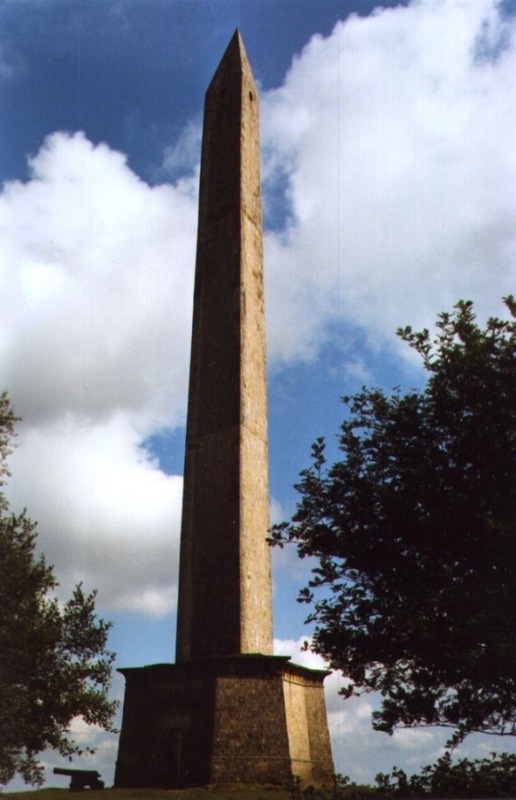 The Wellington Monument is a 175 feet (53 m) high triangular tower located on the highest point of the Blackdown Hills. It was designed to commemorate the Duke of Wellington’s victory at the Battle of Waterloo. You can’t go up it at the moment as it’s unsafe. However, I’d know that if we’d bothered to go there… But we didn’t. Instead of culture we went paint shopping on Wellington high street so the big D can start making the kitchen. I’d have preferred the tower. 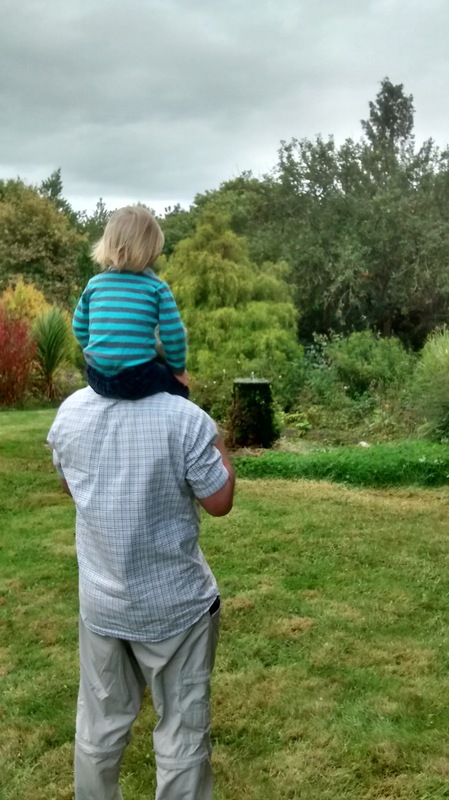 However, one good thing to come of our trip was discovering the World Welly Throwing Championships are coming up and as you know from a previous blog I’ve been practicing!!! Soooo going to win the toddler class!